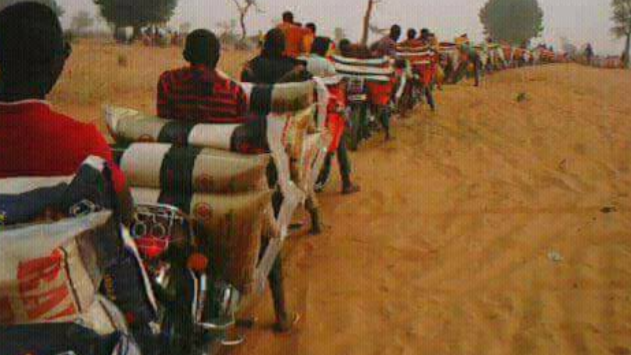 Here's a picture purportedly showing Nigerians using motorcycles to smuggle bags of foreign rice from Niger Republic into the country. Muhammad Murtala Musa, who works as a Customs Licensed clearing and forwarding agent - shared the photo on Facebook. Nigerians using motorcycles to smuggle bags of foreign rice from Niger Republic to Nigeria thereby sabotaging our local initiatives and later blame the government. I wonder why Nigerians cannot obey a simple law.